It has been said that, “Whiskey is for drinking, water is for fighting.” This is especially true of water politics in the American Southwest, a region defined by its lack of water. 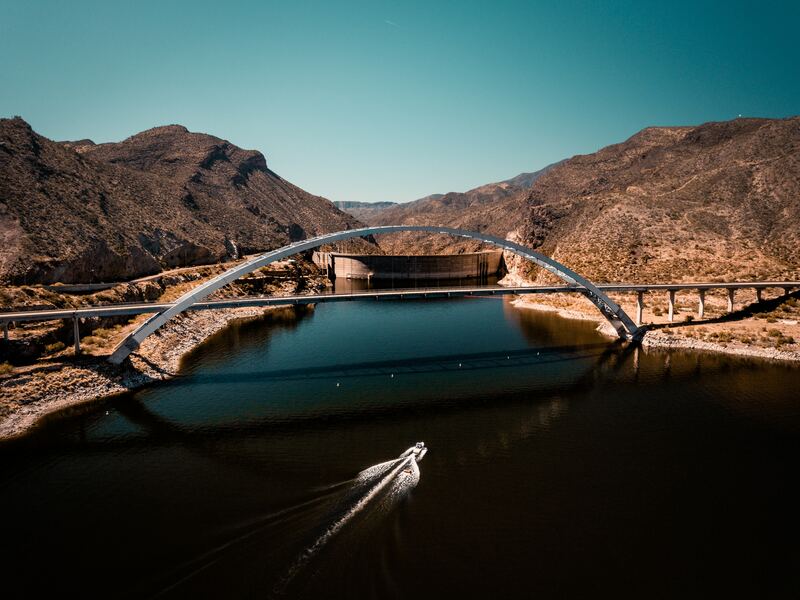 The massive 20th century federal investments into dam systems controlled the great rivers of the West, allowing cities like Phoenix to “bloom like a rose” and grow exponentially. As we work for our future in the 21st century, many questions arise. Where does our water come from? Who benefited from changing water politics? How did moving water systems from one place to another affect different communities, and how have those effects been recognized through treaties and policies governing water? And perhaps most importantly, in the face of a changing climate; how sustainable are our present-day water policies and infrastructure? Join us for an interesting FRANK Talk on water in the southwest. Dr. Jennifer Richter is an assistant professor in the School for the Future of Innovation in Society and School of Social Transformation and the Consortium of Science, Policy and Outcomes. Her research interests are at the intersections of science and society, and how federal policies are enacted locally. Dr. Richter focuses on energy justice, specifically in relation to nuclear and renewable energy production, and how production affects different communities. By examining how science and technology policies collide with local expectations and understanding of the environment and economy, Dr. Richter explores the different scales of energy technologies and policies and their effects on people.